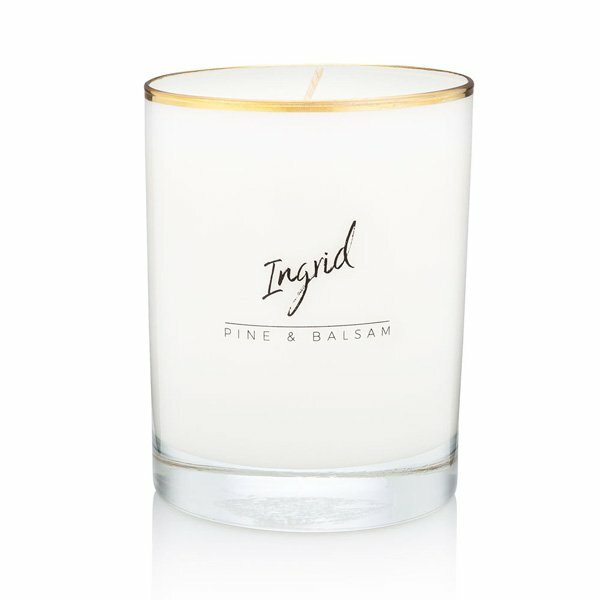 Bijou Ingrid (Pine & Balsam) Candle is where crisp frosted cedarwood and fir needle balsam are made merry and bright with sweet apple, orange bitters, and elderberry. A touch of refreshing spearmint and a base of warm smoky woods make this the ultimate nostalgic walk in a winter wonderland. Scent Notes: a crackling fireplace, the first snowfall, watching home alone again, weekends at the cabin.